Aker BP has made a discovery in exploration well 24/9-14S Froskelår, in the Norwegian North Sea. Aker BP recently started a drilling campaign around the Frosk discovery in the Alvheim area (read more in “Drilling campaign around Frosk”). The first exploration well 24/9-14S on Froskelår Main has encountered oil and gas. 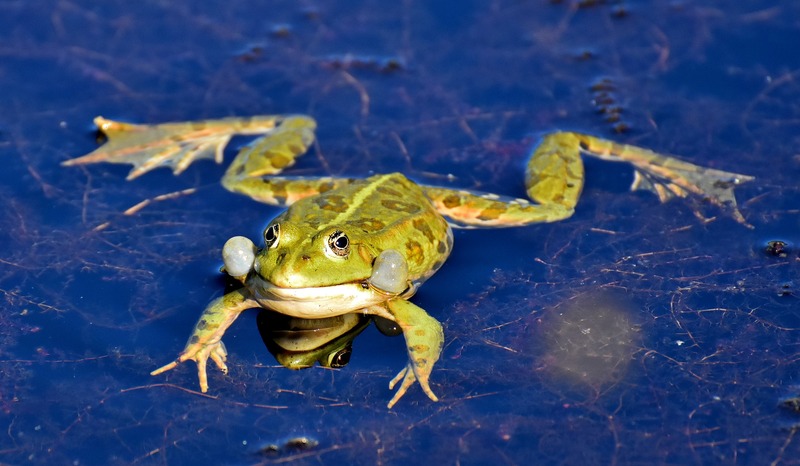 Froskelår is part of the same injectite complex as the Frosk discovery and therefore the chance of success was considered quite high. Aker BP reports on the Oslo stock exchange that preliminary analyses indicate a gross discovery size within the pre-drill estimated range of 45-153 mmboe. The major part of the discovery is in PL 869 on the NCS but part of it may straddle the UK-Norwegian border. Data will be collected to determine the size and quality of the discovery. The operator started drilling well 24/9-14A immediately after finishing drilling operations in the main borehole. Aker BP is operator in PL 869 with 60% working interest, with partners Lundin Norway (20%) and Vår Energi (20%). 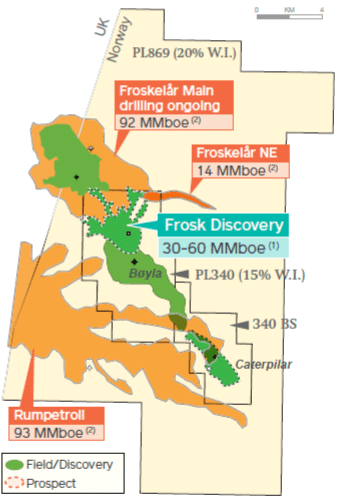 Frosk was discovered in 2018 with exploration well 24/9-12S and appraised by 24/9-12A. Frosk will be developed via Bøyla and a test producer will be put online in 2019 according to partner Lundin. Read more about injectites in “Revival of the injectite play“.